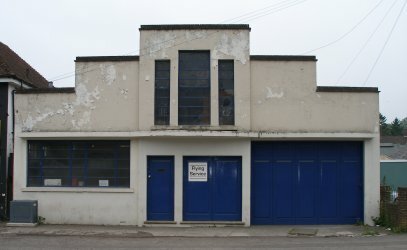 The Bellingdon Road in Chesham has light industrial units in its upper reaches. Over time a number of businesses have closed or have been rebuilt and modernised. The 'Flight Seats' business has occupied a small 1920s building for at least the last 30 years. But recently the Sensex site behind it was fenced off and a notice from the Council posted inviting comments on its demolition. This was the wake-up call to capture on film the building in front. The building has existed for probably 80-years , and so cover a wide range of popular modelling periods. 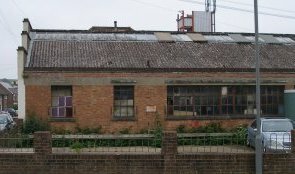 The care-worn appearance is also typical of these small industrial units throughout their life. A free download is available in 4mm scale. This can be printed out using either an inkjet or laserjet printer - if using an inkjet, the resulting sheets will need to be varnished to stop them fading, although faded sheets can be rescued by subsequently varnishing the finished model. The sheets will need to be affixed to a good quality card before cutting out the wall/roof units and front and rear walls. The kit can also be purchased pre-printed on quality 335 gsm card; to order, please use the link at the bottom of this page. When assembling the kit, note that the facade needs to have greater width created to allow formation of the 'steps'. 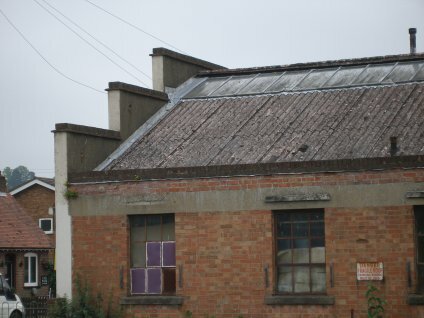 Check the prototype photographs opposite to see how these should be formed, and also what the back of the facade looks like, above the roof line. 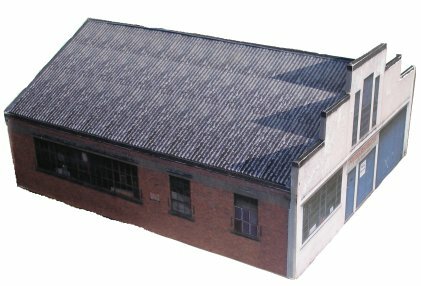 FREE Model Railway Building Kit! 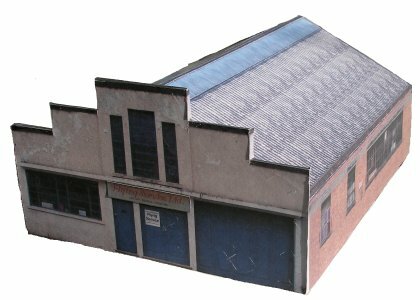 Bellingdon Road small factory unit - available in 4mm scale only. Remember, you can 'try before you buy' with the FREE download facility, so you are buying with total confidence. All credit card transactions are handled by PayPal affiliate Braintree on their secure server; or you can use your normal PayPal account.